Get the most of out of your Eventide gear by checking out our online communities. Get answers to your questions and obtain technical support by visiting the Eventide forum. 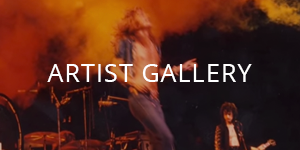 Check out your favorite artist in our Artist Gallery. Learn something new by reading our blogs. Download and share stompbox presets. Visit our Gear Club page. Share your pictures, watch product demos or join the conversation on any of our social media pages. Join a conversation, ask a question or share a tip with your fellow Eventide users. Our engineers read and frequently respond to posts. Boss SL-20 Effect using an H9? Download the latest software, user guides and helpful supplements that help you get the most out of your Eventide gear. Check out the latest questions and answers related to our products. What are the differences between the old FL201 Instant Flanger plugin and the new Instant Flanger Mk II plugin? If I own Anthology X, Anthology XI, or the Ensemble Bundle, do I get Instant Flanger Mk II for free? I have a session which uses the old FL201 Instant Flanger plugins. Where do I find installers for it? Does Instant Flanger Mk II plugin replace the original FL201 Instant Flanger plugin in sessions? Can I exchange presets between the old FL201 Instant Flanger plugin and the new Instant Flanger Mk II plugin?